Potentialism is the crowning achievement of philosopher, independent scholar and cosmologist David Birnbaum. Within his three-part Summa Metaphysica treatise (1988, 2005, 2014) lie the core principles of Potentialism. Unlike the previous decades’ favored Randomness Theory, Potentialism draws back the veil of ignorance on the driving force behind consciousness, life and the very cosmos itself. While others have only found chaos, randomness and decay in the natural order of the world, Potentialism offers an overarching conceptualization of a universe which is very much growing, in size, in force and in complexity/sophistication. At the center of Potentialism is hypothesized infinite Quest for infinite Potential (Q4P is the shorthand notation.) The ultimate goal of the cosmos is what Birnbaum calls Extraordinariation (E+ is the shorthand notation) the ultimate realization of Potential. Thus, the overarching equation would be Q4P∞→E+. Q4P represents a cosmic Quest for Infinite Potential. It’s what drives both particles to become molecules and amoeba to evolve into humankind. Q4P both sets the laws of physics and redefines them to create an ever larger, more complex/sophisticated universe. Q4P is all-pervasive, infinitely recursive and nested, life-generating and affirming, and able to pivot its course to optimize its potentials. QJ events have been shown to be cyclic in the cosmos’ history. It can be thought of as when Q4P reaches a threshold of critical mass. At such moments, historically, we see fundamental shifts expressed in the physical universe as a higher level of complexity/sophistication – shifts in the nature of the universe itself and objects within it. Such events can be seen in the splitting between Newtonian and quantum physics as the universe cooled; the formation of atoms; the birth of molecules; the rise of biological life, and the birth of intelligent humankind, as but some examples. But, to be very clear, these moments of Quantum Jump (and higher complexity/sophistication) do not represent ultimate Extraordinariation. As miraculous as the formation of the atom might be, E+ is a state of infinite complexity/sophistication. Is it even achievable? To Potentialists, the answer is maybe. It is not answerable or even properly definable as a question in this universe at our current level of complexity/sophistication. Humankind, by definition, is not currently equipped to fully understand the full criteria for Extraordinariation. The author of the term is quite clear on this point. But, what is important is that the drive given by Q4P causes the cosmos to strive towards Extraordinariation and, like many things, it is the journey that defines us and is of ultimate importance, not the destination. As for the events we commonly label extraordinary, we don’t have to wait for the rules of physics to grow in complexity/sophistication. We can see smaller reverberations of E+ all around us on a daily basis. In fact, we can see Q4P at work constantly within one of the most basic of building blocks of human and animal life – the stem cell. Indeed stem cells seem to be a biological embodiment of metaphysical Q4P itself. Stem cells have a fairly unique skill called pluripotency. What pluripotency means is that the cells have both the ability to self-replicate or become any type of cell in the body. Let’s see how this measures up to the requirements of Q4P. 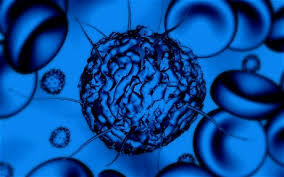 Stem cells are the precursors of all cells in the body. As such, they are pervasive, a requirement of Potentiality. They are undifferentiated, meaning they have the Potential to become any cell in the body. This is important if we are to derive a direct connection between Q4P and the stem cell. This means they qualify as permeating the production of life – not just a particular function of life. Furthermore, they are, like Potential, blank slates of pure Potentiality. And they have the ability, and are used to, create new life as well as add to an existing one. Being an expression of Q4P means they must be pervasive and an overarching force in their function. Indeed, stem cells fit this criteria perfectly. They are the foundation of all cells in the human body. Additionally, as they are pluripotent, they can even procreate – splitting and creating more of themselves, thereby increasing their Potentiality in a lateral sense. So, they are clearly capable of realizing greater and greater Potential in the form of replication. This is important because Q4P describes the infinite of the current Potential as well as the nested future Potential. To state the issue more clearly, the stem cell has the ability to increase itself (self-reproduction) as well as to create new cells with their own potential (differentiation) – thereby expressing an Infinite Quest for Infinite Potential. Most importantly though, stem cells would have to express Quantum Jumps > E+. However, we see this clearly happening through differentiation. Differentiation occurs as a complexity/sophistication event when stem cells specialize as a result of reaching a Quantum Jump level. In fact, the creation of a child can be viewed as a string of Q4P and Quantum Jump events. A fertilized egg is an event expressed by the parents’ Potential. The resulting Quantum Jump triggers a complexity/sophistication event – conception, causing the stem cells to increase their complexity/sophistication and shape the biological microcosm being formed as a new human being. This only leaves the question of recursive infinite Potential. But, as we already know, the life created by those stem cells will mature and gain the ability to procreate itself – ad infinitum, thereby satisfying the infinitely recursive rule of the Quest for Potential. Of course, Potentialism is, at its heart, cosmology. Indeed, Potentialism can be seen clearly at work from the formations of galaxies and stars, to the formation of atoms and molecules. But its true strength lies in its pervasiveness. It can be seen just as clearly in the fractal patterns of trees, the teleological rhythms of the earth and the very building blocks of the human body – making the tiny stem cell not just a biological embodiment of the overarching dynamic Q4P, but as well just one more link in an endless chain of evidence of the Quest for Infinite Potential all around us which drives the universe onwards to greater and greater complexity/sophistication – and ultimately towards Extraordinariation.